If you know even a little SEO you know that having an optimised title and meta description for your homepage not only helps the search engine robots better understand what your site is about but can also improve the click through rate, meaning the number of Google users that will click on your site after finding it on the Google results page. But let`s say you have the perfect meta tags in your head, how do you go about changing them on your website? There are many platforms out there and each has it`s own way of reaching the meta title and meta description in order to modify them. This is exactly what this guide will help you with. 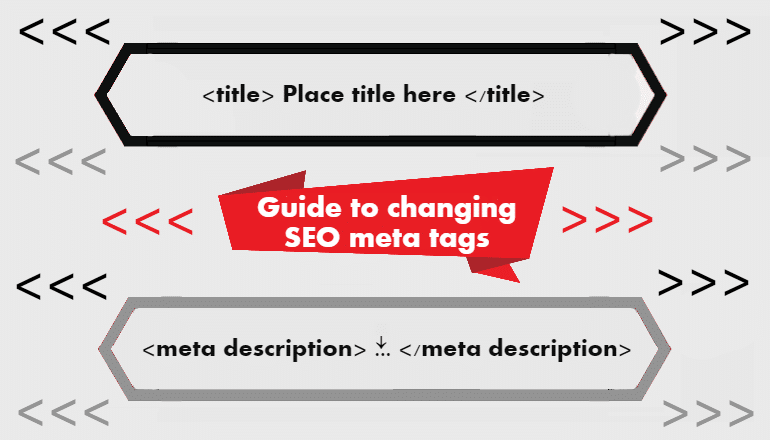 Find your platform bellow and start optimising your meta tags right away! Go to 'Plugins > Add New'. Search and install Yoast SEO plugin. Edit your home page meta data there. Click the Extensions Menu > Templates > Templates. Scroll down and in the left menu click index.php. Search for title and meta description and edit them. Install the Drupal Page Title module. Click on the "Administration" link at the top of the Drupal dashboard. Select "Site Building" from the Administration menu and then "Permissions." Scroll through the list of modules until you locate the Meta Tag module. Select the "Public" permissions for this module and click "OK."
Select "Site Building" again from the Administration menu on the left side. Click "Modules." Select "Meta Tag Module" from the menu. Enter the Home Page title in the form on the Meta Tag module page. Search for title and description, edit, save. In the left menu click Content and then Configuration. Click Edit for your site / theme. Search Header, find title and description, edit, save. Click Customize Theme. Click Template Editor. Under layouts on left hand side, select theme.liquid. Open Preferences, then CMS tab. Click Edit to modify the page. Enter your meta tags (Meta title, Meta description, Meta keywords). Log into your Wix website. Click Menus & Pages on the left side of the Editor. Click the relevant page. Click the Show More icon. Enter the page title under What's the page's title on search results and browser tabs?. Enter the page description under What's the page about? Add a description. Go to the person icon at the top right of your screen. Select "Edit Appearance" from the drop down menu. Search for title and description, edit, make sure description is turned on. Log into your Weebly site. Open your web site in Dreamweaver. Dreamweaver 2: Click on the 'html' tab. Dreamweaver 3: Select 'html source code' from the 'window' pull-down menu. Not sure what the best meta tags for your site should be, or what keyword to use? Join our next Digital Marketing or SEO course!